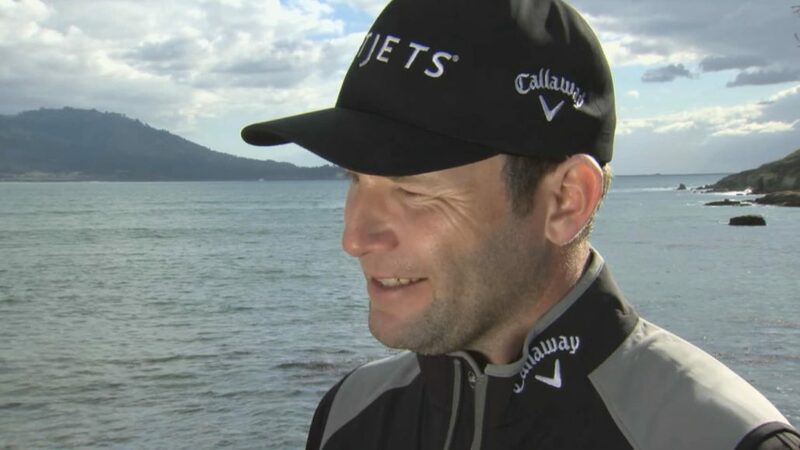 Branden Grace sits two back of leaders Scott Langley and Brian Gay after round one at the AT&T Pebble Beach Pro-Am, writes WADE PRETORIUS. There are six tied between Grace’s 67 and the lead, most notably with Phil Mickelson and Jason Day also starting well. Grace missed just four fairways on Thursday as his fast start saw him birdie the first and eagle the par-5 second. Two more birdies followed at the fourth and sixth to vault him into contention. His inward nine didn’t include the fireworks of the front, as his birdie on the last offset his two-putt bogey on the par-3 12th. ‘Last week was great and I was riding the wave of that momentum. It’s my second year here and I do enjoy it. The course suits my eye, so it was easy to put it back on my schedule, and of course it also serves this time as a bit of US Open preparation,’ he said after round one. Bad weather was in play last week as he raced into a share and then solo lead on Sunday at the Waste Management Phoenix Open, before he slipped with a late bogey as Rickie Fowler rallied to win. The present forecast is ominous, but the South African is taking it all in his stride as he looks past inclement weather to try and secure PGA TOUR win number two. Grace was joined by a number of players in the hunt at -5, including Dustin Johnson and Jordan Spieth. It’s certainly a star-struck event, something the best-placed Saffa enjoys. Ernie Els went out in 33, but surrendered two shots on his inward nine to finish two-under par, with Dylan Frittelli and Tyrone van Aswegen both +1 after Thursday’s opening round.